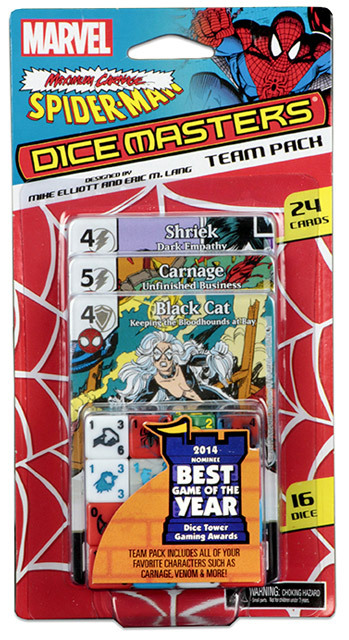 The Marvel Dice Masters: Spider-Man Maximum Carnage Team Pack will help you -thwip- your competition! The Marvel Dice Masters: Spider-Man Maximum Carnage Team Pack features Spider-Man, Venom, and some of the villains they combated during the Maximum Carnage storyline! Get rolling with the first ever appearances of Shriek and Spider-Man�s Doppelganger in Dice Masters! 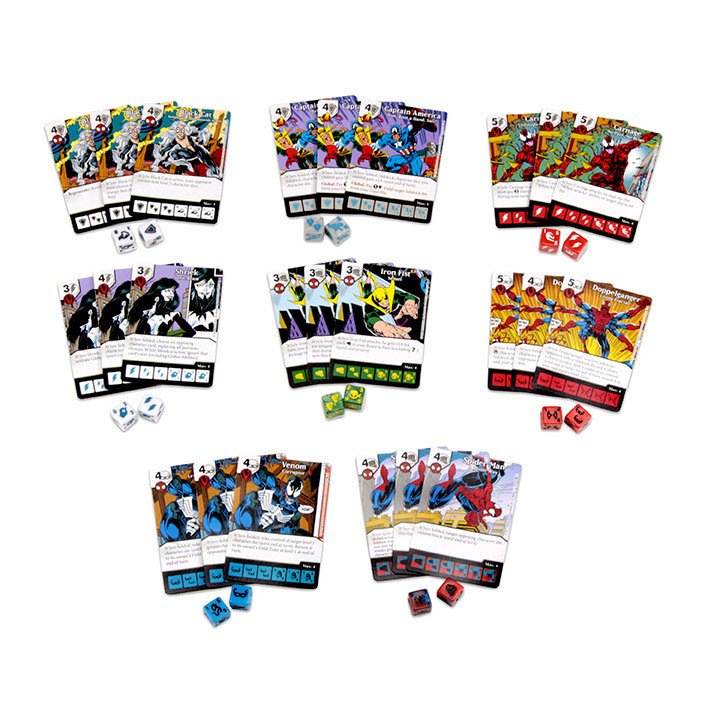 The Marvel Dice Masters: Spider-Man Maximum Carnage Team Pack will let players build their own team of heroes or villains and is perfect for the Dice Masters veteran or someone looking to jump into the game fresh! A Team Pack can be paired with any Starter Set to give a player everything they need to build a highly focused team for thematic play! With 24 cards and 16 dice, this release will be sure to add some webbing to your Dice Masters collection!